DETROIT — From a starring role in Jurassic Park to an infamous tire recall, from king of the 1990s SUV boom to gas-guzzling pariah in the late 2000s, the Ford Explorer has weathered plenty of highs and lows over nearly three decades. No other utility vehicle can match its 7.7 million U.S. sales. And few vehicles of any kind have undergone as much change in pursuit of fickle American consumers’ shifting tastes. Ford considered killing the Explorer a decade ago, when its popularity plunged to the level of the Fiesta today, but instead suburbanized the rugged SUV into a front-wheel-drive, unibody crossover to maximize fuel economy. Now, with utility sales stronger than ever, the Explorer is returning to a brawnier rear-wheel-drive platform and leveraging its roots as a go-anywhere, ready-for-adventure vehicle rather than a dime-a-dozen crossover. “If there’s a heart and soul at Ford Motor Co., it’s this vehicle,” CEO Jim Hackett said during an elaborate unveiling last week that used computer-generated mountains, beaches and bridges projected inside the Detroit Lions’ football stadium to depict Explorers hauling families on thrilling road trips. The 2020 Explorer is lighter, more powerful and more spacious than the outgoing model. Its arrival this summer could push the nameplate over 300,000 annual U.S. sales for the first time since 2004. The Explorer, more so than the redesigned Escape due later in 2019, is a key piece of Ford’s business moving forward thanks to the hefty price tag — and profits — its top trims command. Exterior styling is the top purchase consideration in the Explorer’s segment, Thai-Tang said. And Ford believes the new rwd platform allowed it to craft an athletic, appealing vehicle. 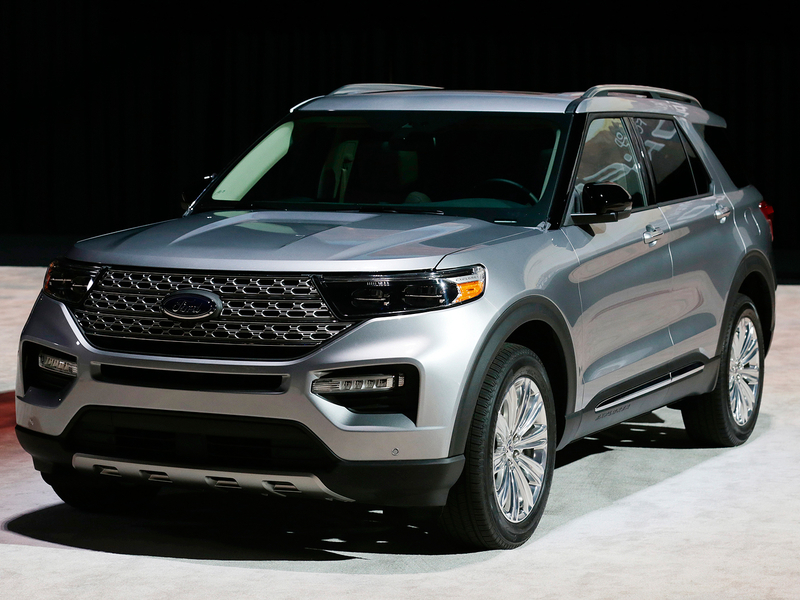 The sixth-generation Explorer has shorter front overhangs, a more sculpted side profile and a sloping roofline that gives the appearance of a faster vehicle, designers say. It has roughly the same dimensions of the outgoing model but more interior room. It can tow up to 5,600 pounds — 600 more than the outgoing version — and has best-in-class second- and third-row headroom, Ford claims.